Dr. Andrea Abramson got her medical degree from NYU School of Medicine. 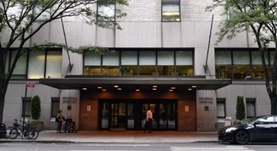 She then did her residency at NYU Medical Center and later on obtained her fellowship at Memorial Sloan Kettering Cancer Center. Dr. Abramson is board certified in radiology. She has more than 20 years of practice and is currently affiliated with Memorial Sloan Kettering Cancer Center. Dr. Andrea F. Abramson has contributed to 3 publications. Mango, V. L.,Morris, E. A.,David Dershaw, D.,Abramson, A.,Fry, C.,Moskowitz, C. S.,Hughes, M.,Kaplan, J.,Jochelson, M. S.; Eur J Radiol. 2014 Dec 03. Determination of the presence and extent of pure ductal carcinoma in situ by mammography and magnetic resonance imaging. Menell, J.H., Morris, E.A., Dershaw, D.D., Abramson, A.F., Brogi, E., Liberman, L.; Breast J. 2005-11-01. MRI of occult breast carcinoma in a high-risk population. Morris, E.A., Liberman, L., Ballon, D.J., Robson, M., Abramson, A.F., Heerdt, A., Dershaw, D.D. ; AJR Am J Roentgenol. 2003 Sep.